This event is an annual gathering of motorcyclists and Honda aficionados that are fond of the Honda VFR Interceptor. 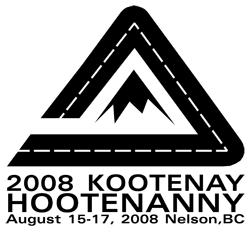 Members have generally found each other through the online discussion group – VFRDiscussion.com. Members come from all over the western half of North America to attend this meet. Previously ride days have been along the Oregon coast and wine region, the Mount St. Helens area and the Coast Mountains. 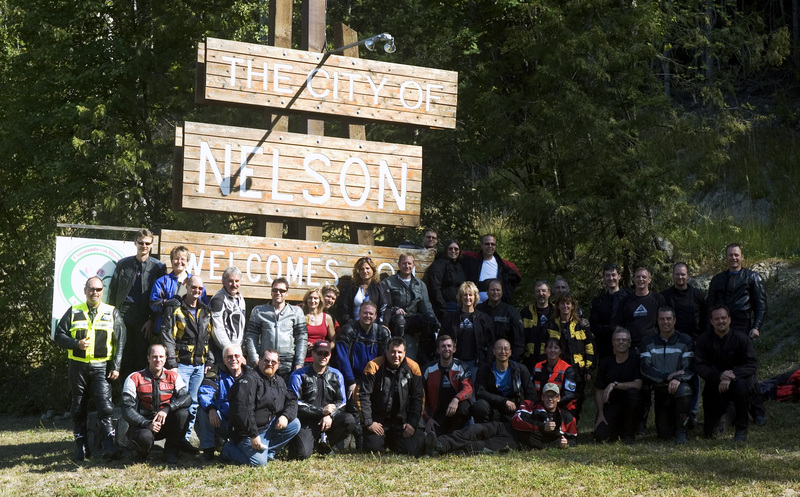 This is the 4th Annual Pacific Northwest VFR Discussion Group meet, aka The 2008 Kootenay Hootenanny. This event generally draws 30-45 riders and displays many of the models of the VFR motorcycle’s history. If you ride a VFR this is a great way to meet other riders and kindred spirits. Day 1 – August 15 – A ride with the early arrivals – we’ll take a short day trip together, meet and greet in the evening for beer and socializing. group 3 – turn, sweep and spin while taking it all in – (which will include me) – a group focused on scenery, stopping for photos, and socializing (there’s an excellent hot springs to dip in). we’ll still tackle some of the twisty bits but at a much more reserved pace – there are lots of scenic places to stop and plenty of small cool little towns in which we can poke around for lunch (TBD). possibly a kokanee brewery tour, a microbrewery tour or a stop at one of the local vineyards? At the end of Day 2 we’ll all meet as a common group at the Hume Hotel or New Grand Hotel pubs for awards, prizes and t-shirt presentation. Initial award ideas – ‘Show and Shine’ for Best 1-5 generation VFR (original condition), Best Modded Bike, Longest Distance Travelled to reach meet (prize = one night’s accomodation voucher), Best post ride messy hair, etc. we’ll get creative with these! Day 3 – August 17 – Group breakfast for those that don’t have to leave early, at the Hume Hotel. Part ways and head for home. 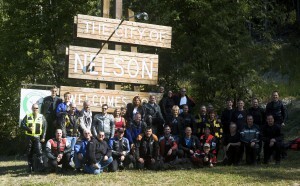 Nelson, BC has some of Canada’s best roads, fantastic climate and friendliest people. it’s basically halfway between Calgary (where i live) and Vancouver, BC. there are lots of accommodations and some great little restaurants, and the town is nestled right in the centre of the rockies – beautiful surroundings. Read more at Discover Nelson.